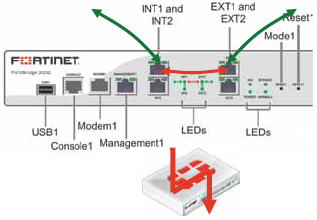 The FortiBridge-2002F appliances ensure mission-critical network continuity by automatically re-routing your network traffic around inline security devices in the event of a power failure or system fault. Operating in transparent mode during normal operation, these appliances automatically bridge network traffic to ensure mission critical network continuity. 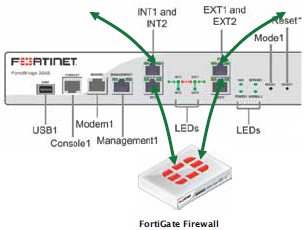 The FortiBridge-2002F appliance provides four GbE fiber interfaces with LC connectors and four GbE SPF interfaces for fail-to-wire bypass protection.